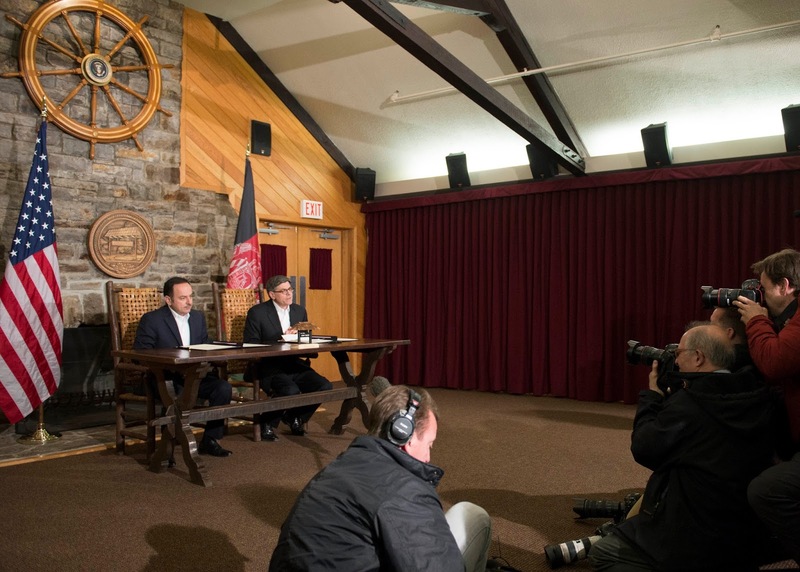 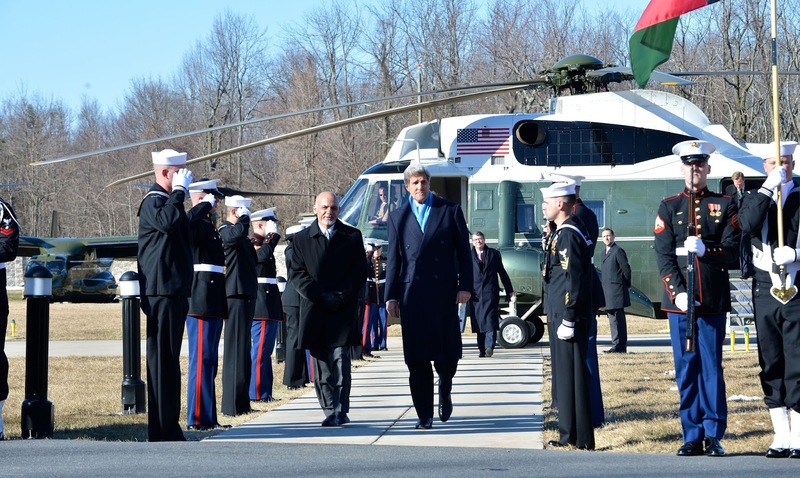 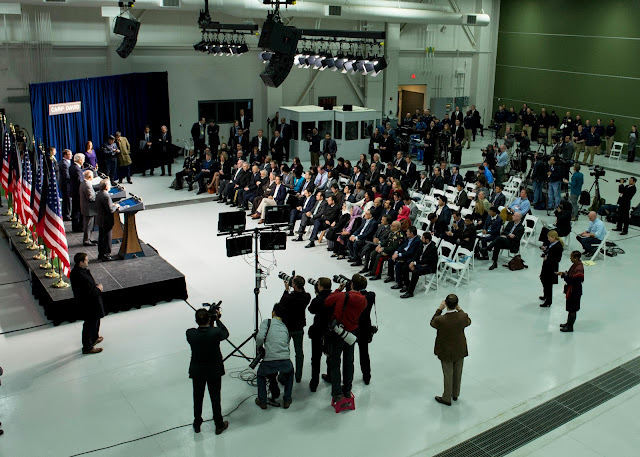 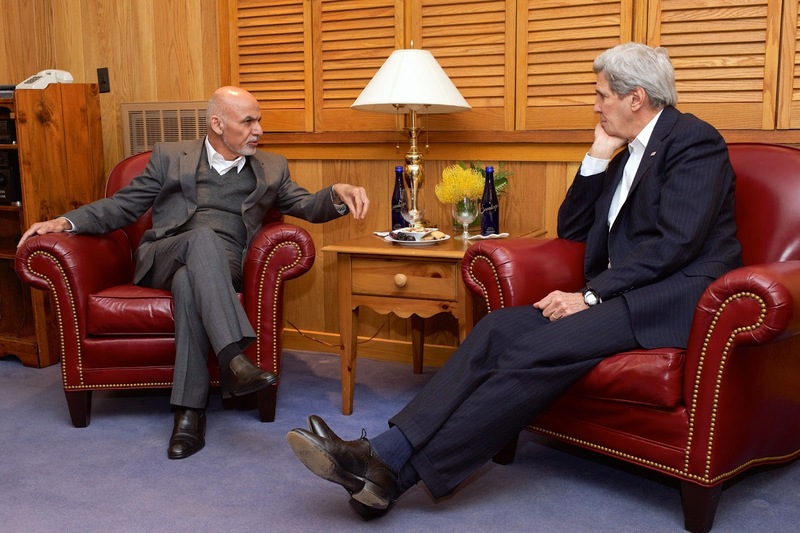 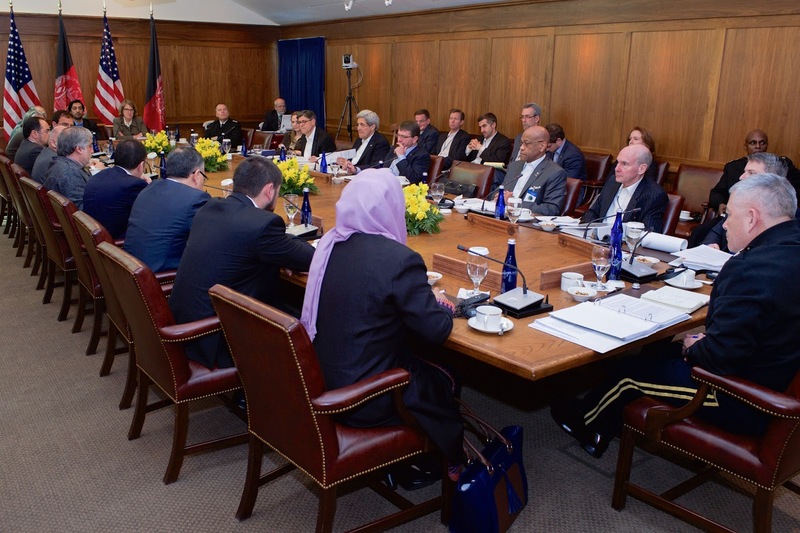 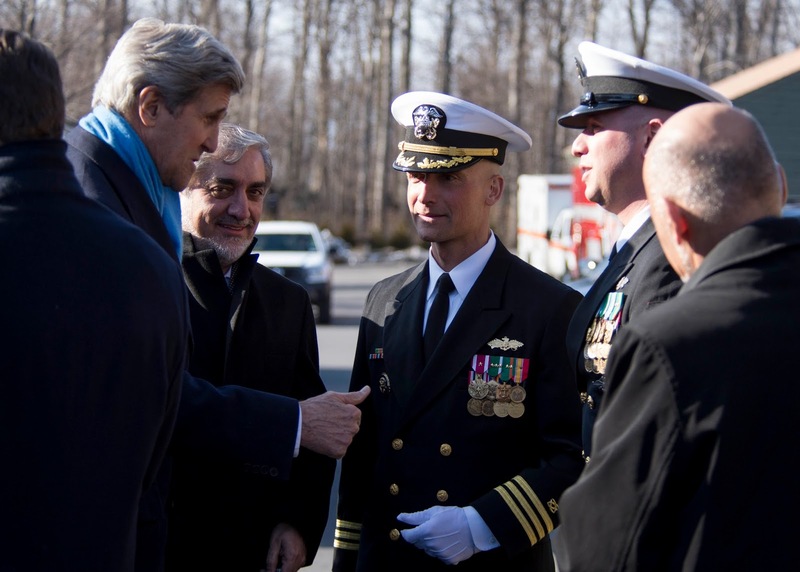 On March 23, 2015, Secretary of State John Kerry hosted Afghan President Ashraf Ghani, Chief Executive Abdullah Abdullah, and other key members of the Afghan Government at Camp David. 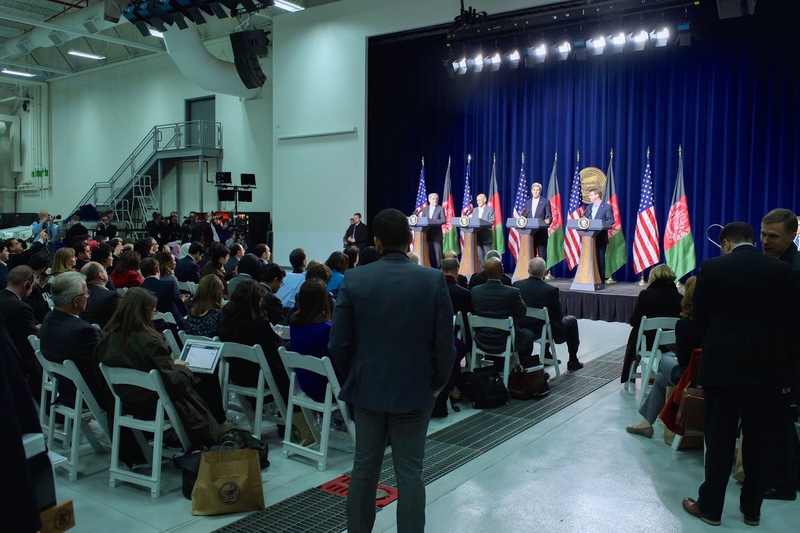 The topics of discussion included security, economic development, and U.S. support for the Afghan-led reconciliation process. 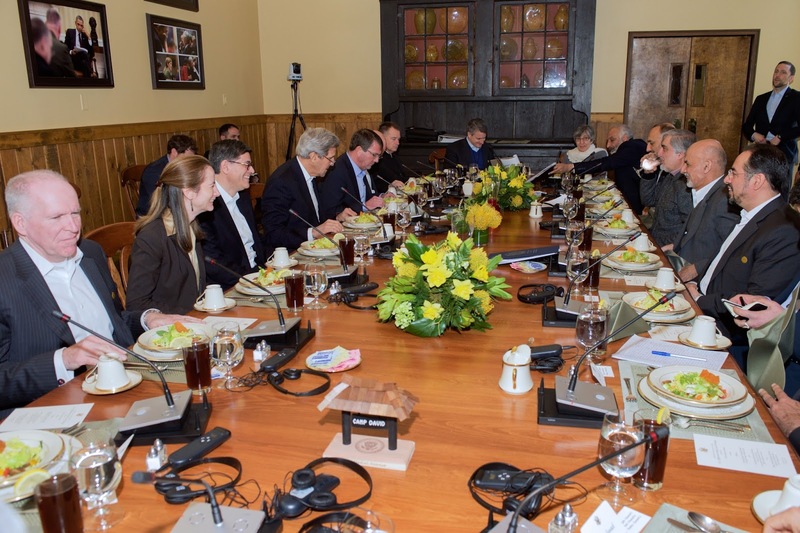 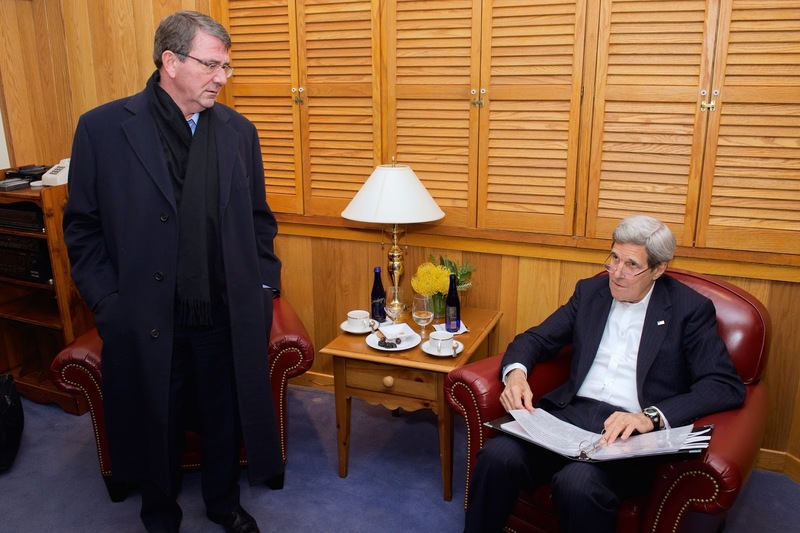 Secretary of Defense Ashton Carter and Secretary of the Treasury Jacob J. Lew also participated in the meetings. The photo above shows security standing guard as Secretary Kerry and President Ghani head off in their golf carts shortly after arriving at Camp David.